Today I am going to review shade no. 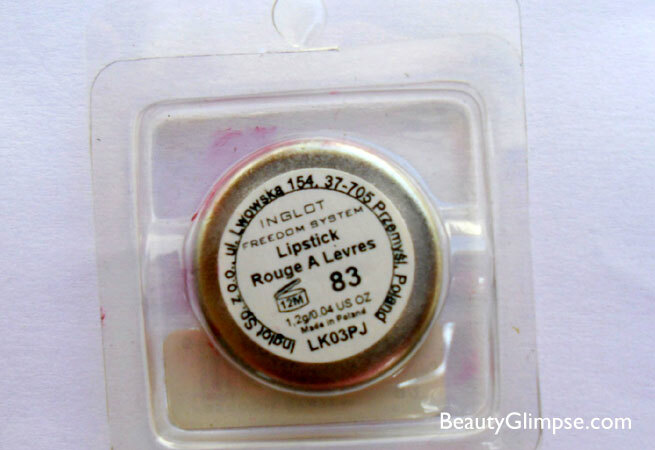 83 from Inglot freedom lipsticks which I bought recently. 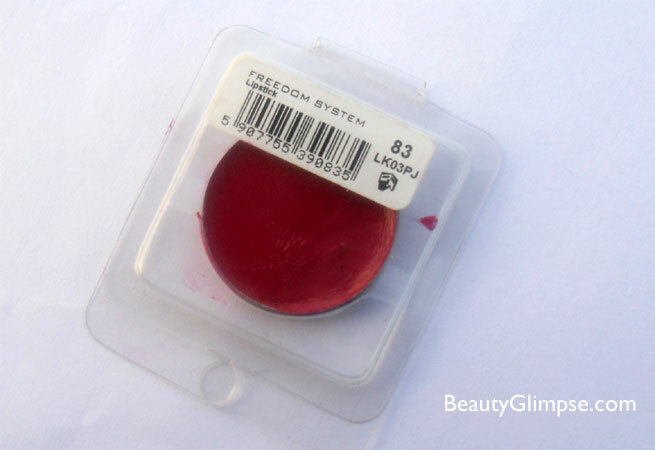 Inglot refills are very popular because of the affordability and the awesome quality they provide. This is my first Inglot lipstick and when I went to the Ingot store, I was really confused as the store is very tempting and colorful. I bought two shades and this is one of them. Read on to know how it fared. 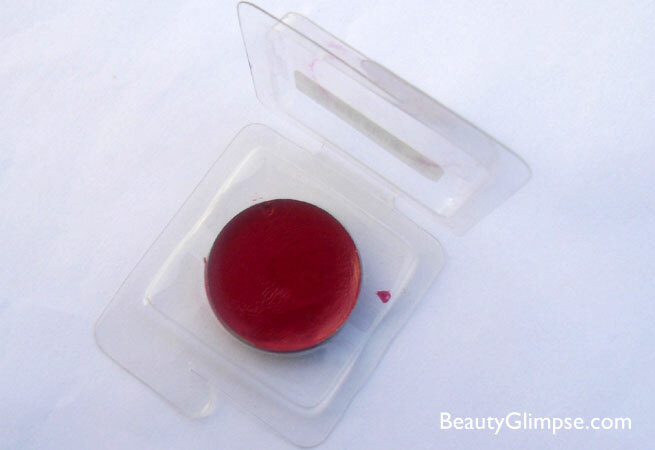 The Inglot refill lipstick comes in plastic packaging and it keeps the pan secure so you can keep your lipstick like this only or you can purchase a separate palette too. I have kept it in the plastic packaging since I don’t have a palette as of now. Shade 83 looks maroon in the pan but when swatched it looks more like deep pink shade and that is the reason I bought it. 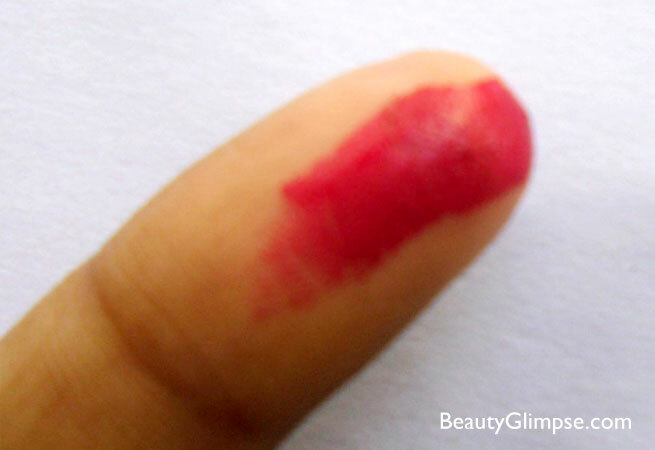 The color is amazingly pigmented and one swipe is enough to hide pigmented lips. You need to use a lip brush for applicator as nothing came with it. 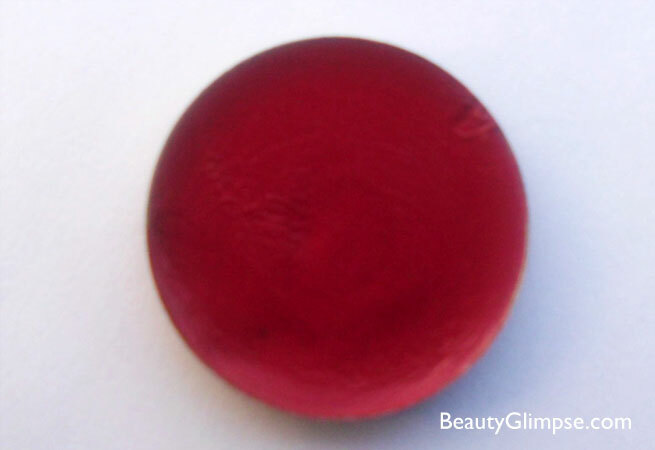 The texture is super creamy and it glides smoothly on lips even without lip balm. The formula is moisturizing so you can skip lip balm and they do not dry my lips at all. It doesn’t have any shimmer and thus it is ideal for day time and for office wearers too. It doesn’t settle in fine lines and it doesn’t bleed too. It stays for 5 hours on my lips and then it leaves a nice tint behind and that is why I love it even more. The price has increased to Rs. 300 from Rs. 250. Will I Recommend: Yes, if you like the shade then you should definitely go for it as it is affordable and the texture is absolutely amazing.